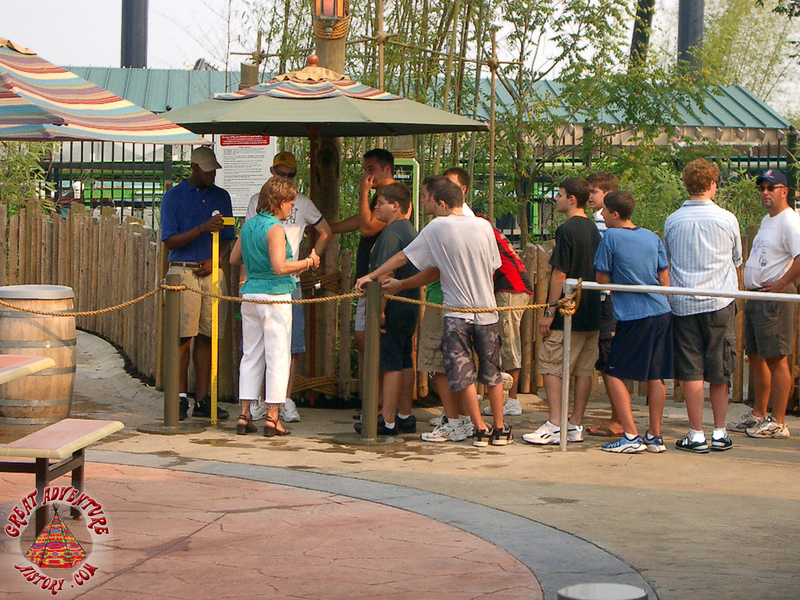 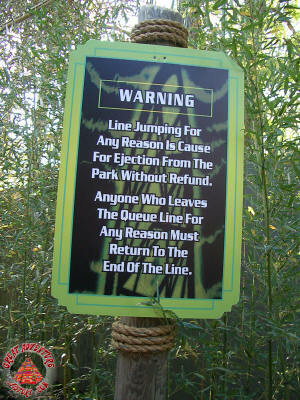 In a theme park, the queue line for an attraction can sometimes be a major part of the overall experience, building anticipation and setting the mood, story, or theme for a ride when done correctly while also managing the crowds of guests waiting to experience it. 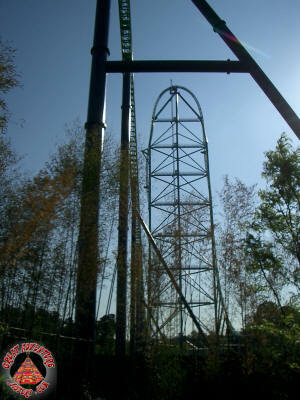 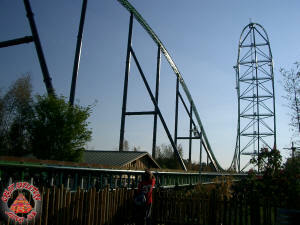 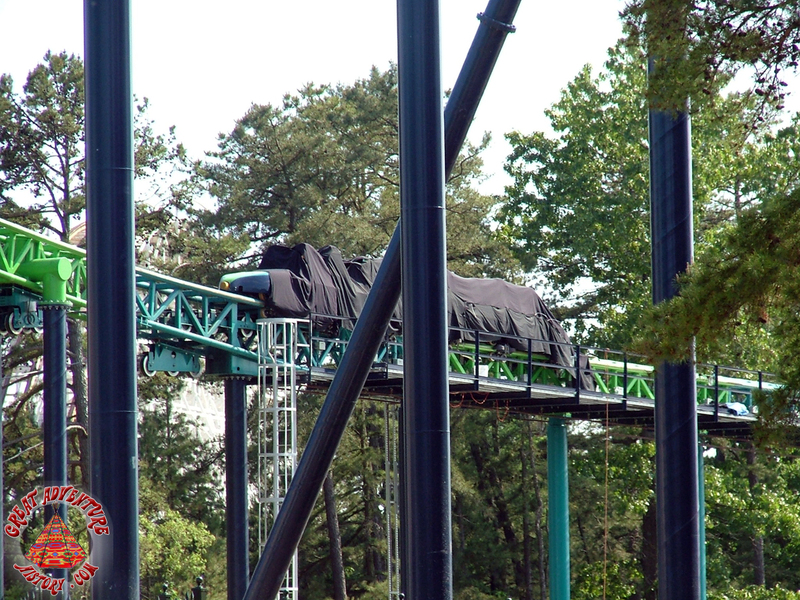 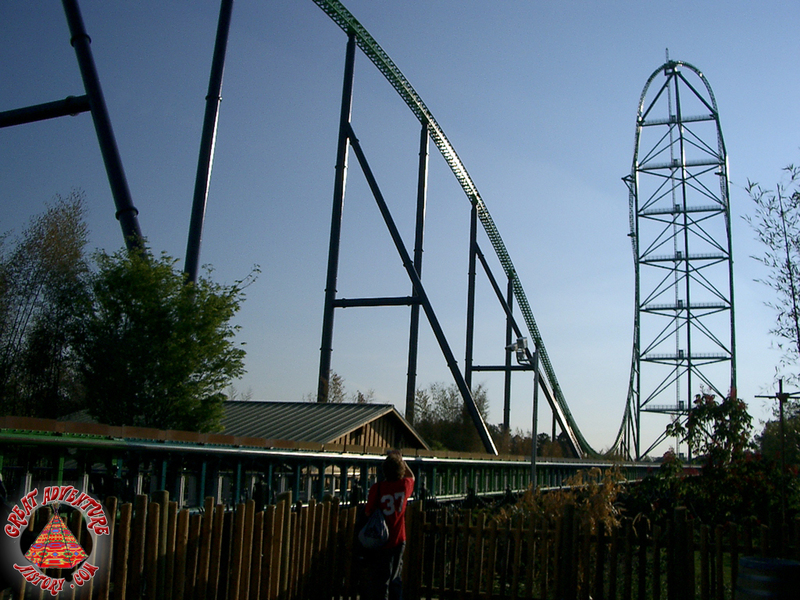 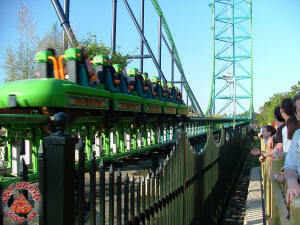 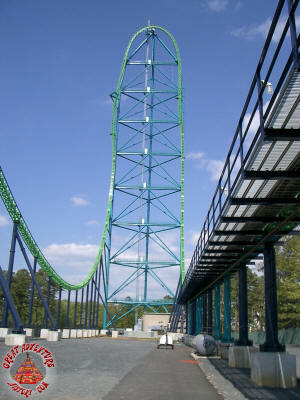 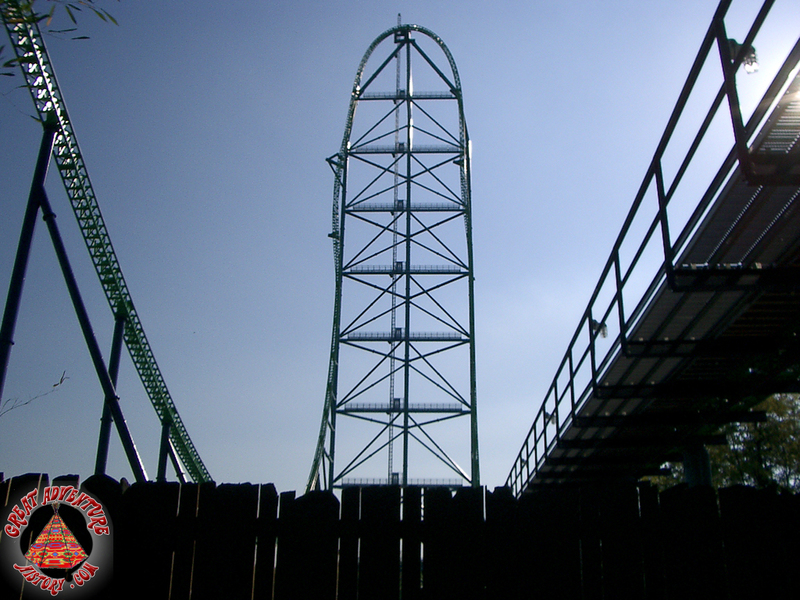 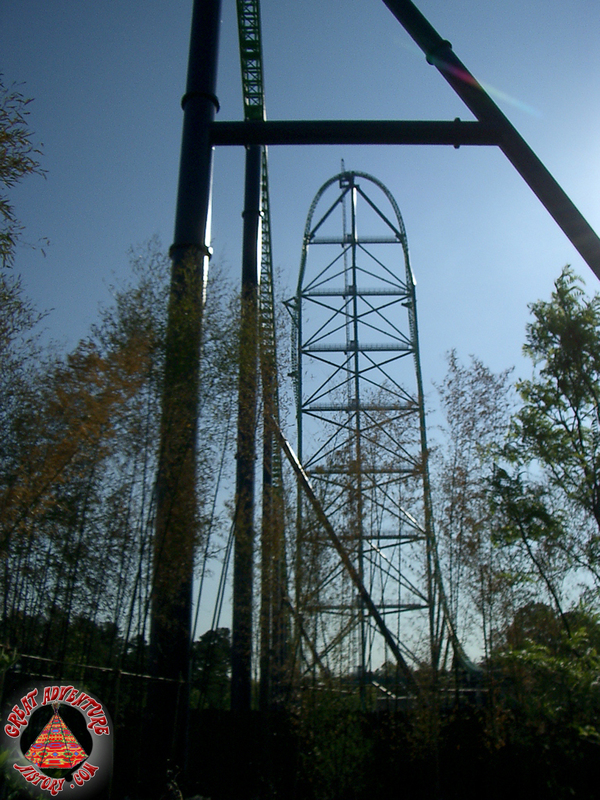 When Kingda Ka was introduced as the marquis attraction in the new Golden Kingdom area of the park in 2005 as the world's tallest and fastest roller coaster, it was also expected to draw large crowds and needed a queue suited to handling them. 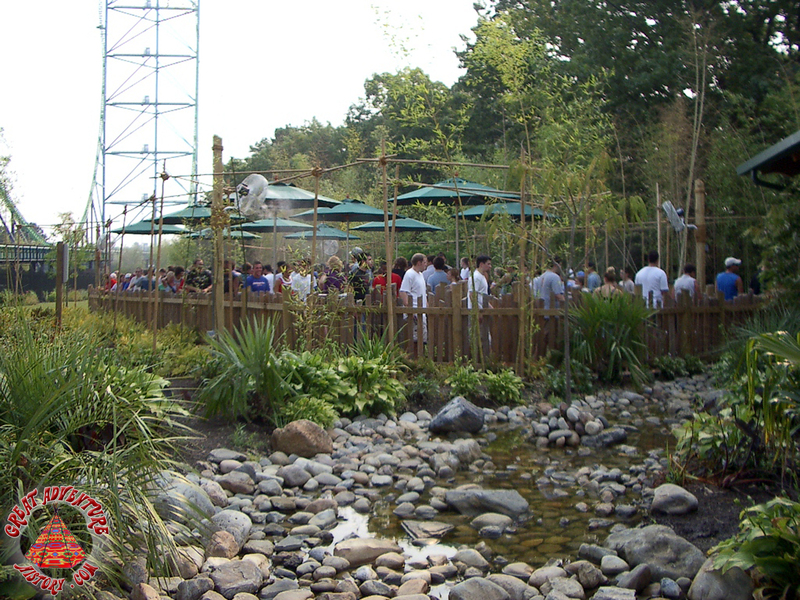 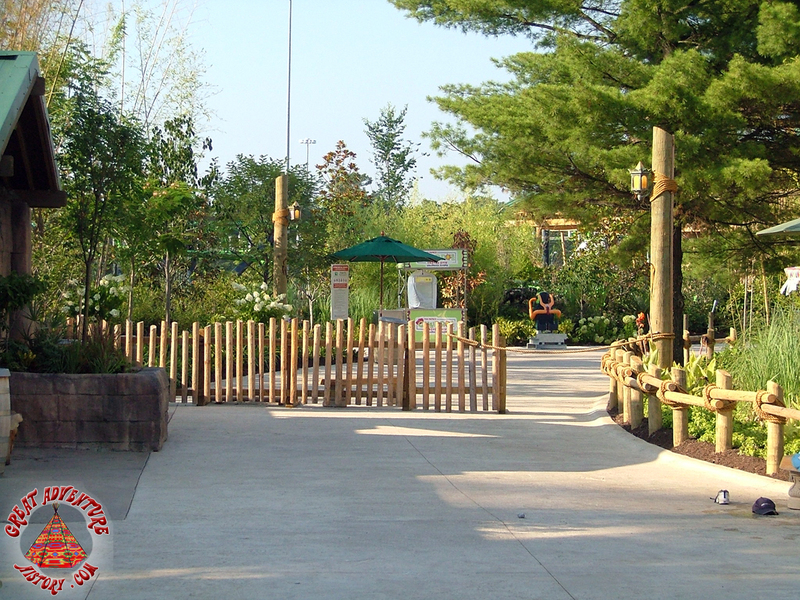 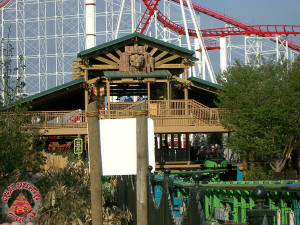 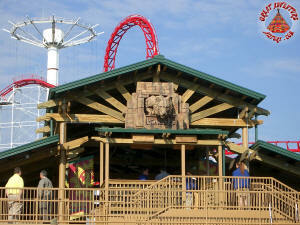 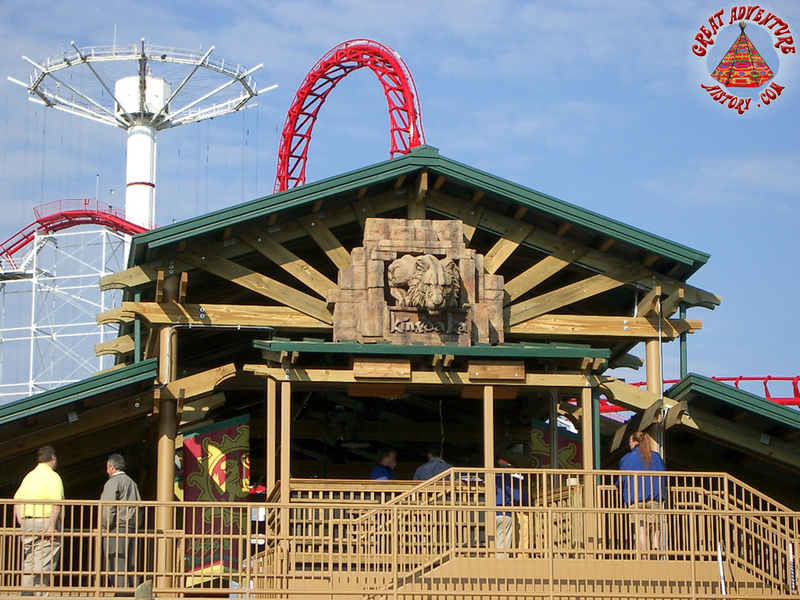 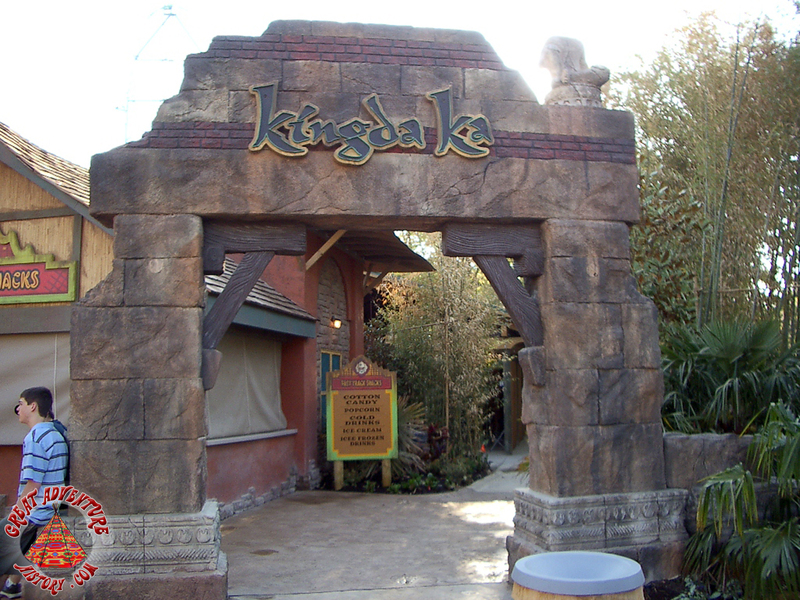 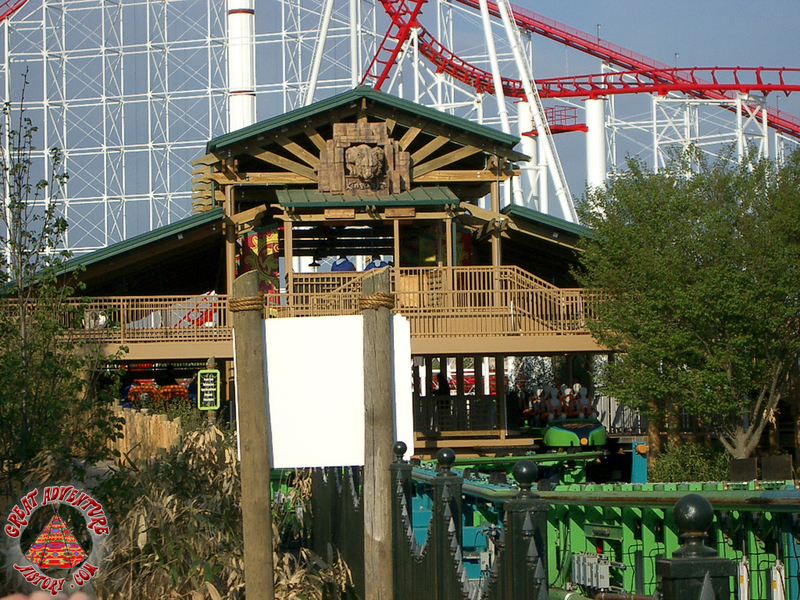 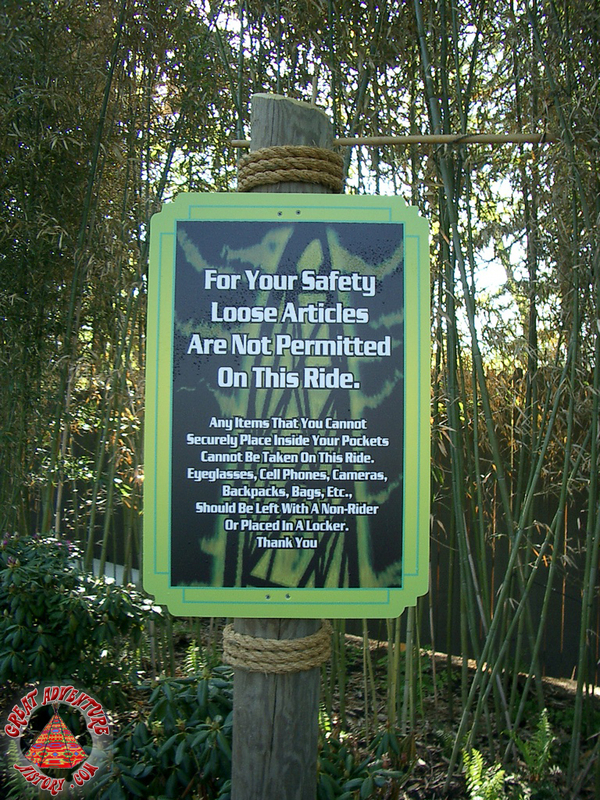 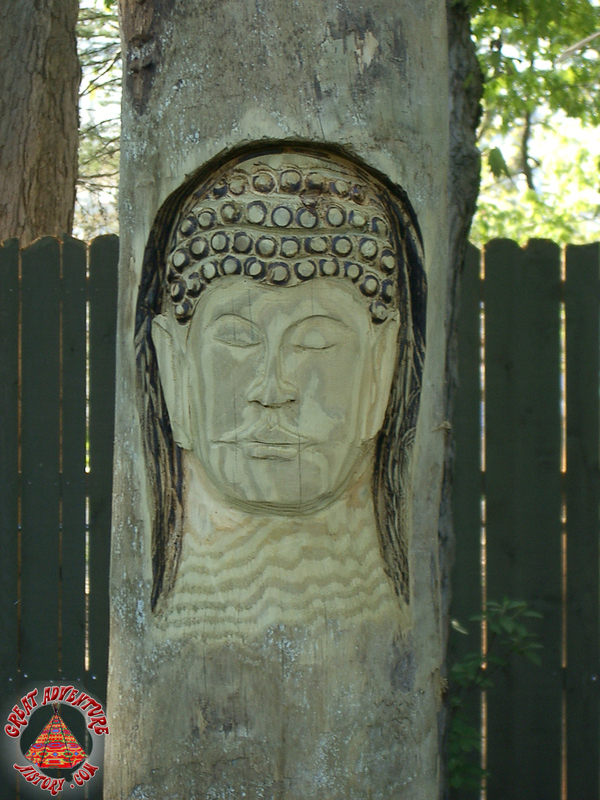 The entire Golden Kingdom was given a lush jungle theme and even Kingda Ka which had been built in an area that was once formerly a portion of the parking lot was included in the theme elements and plantings. 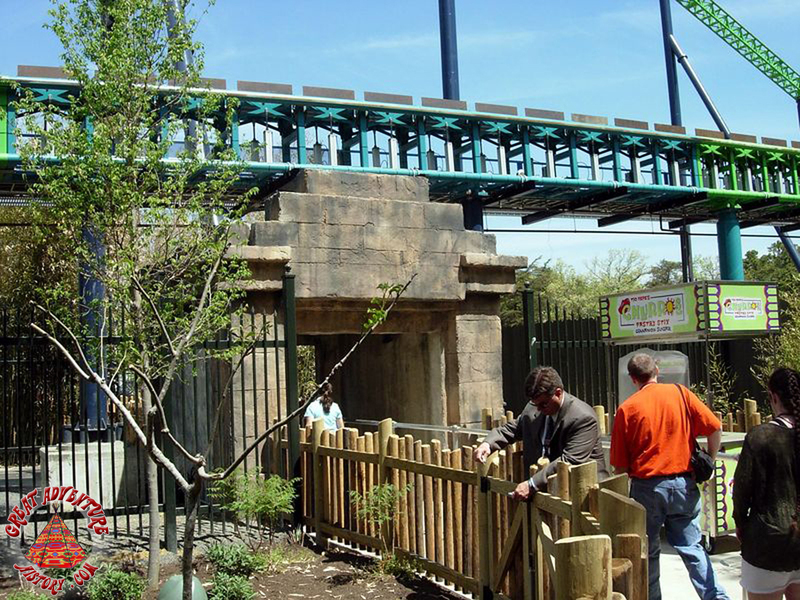 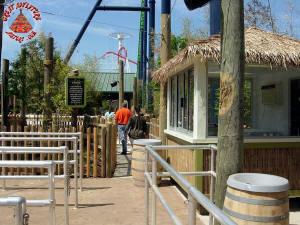 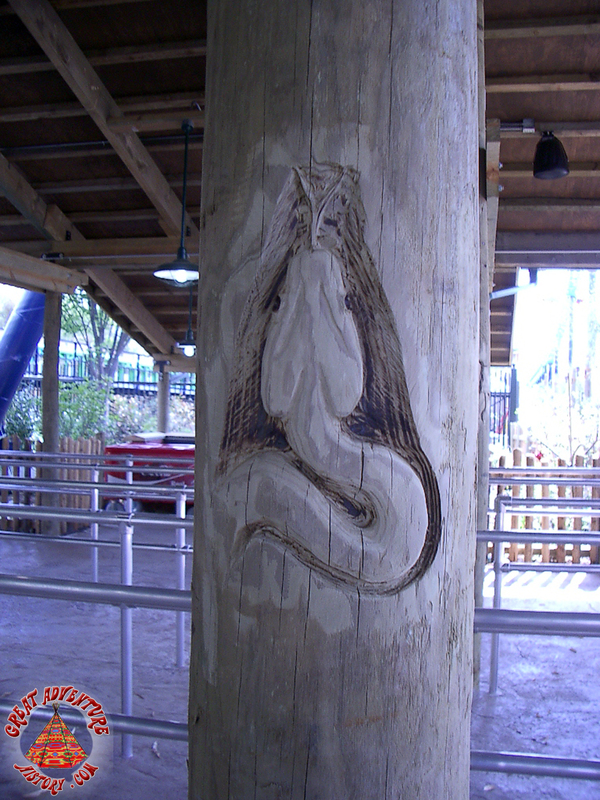 The original design for the queue was a long winding pathway between Kingda Ka and the neighboring Rolling Thunder roller coaster. 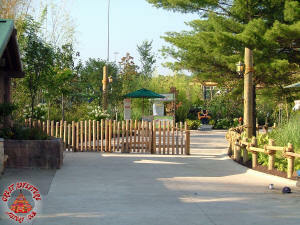 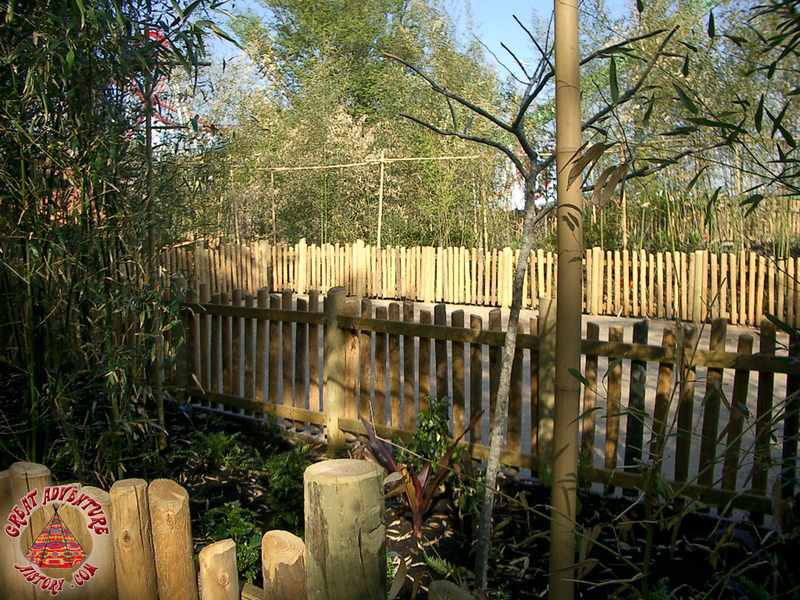 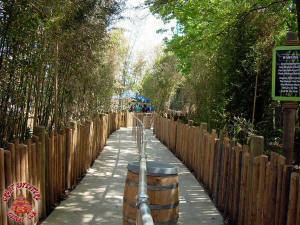 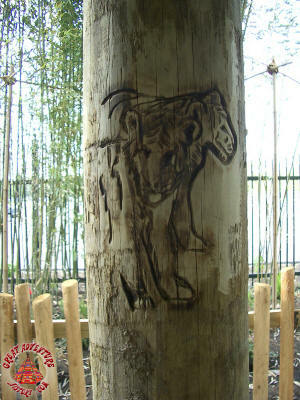 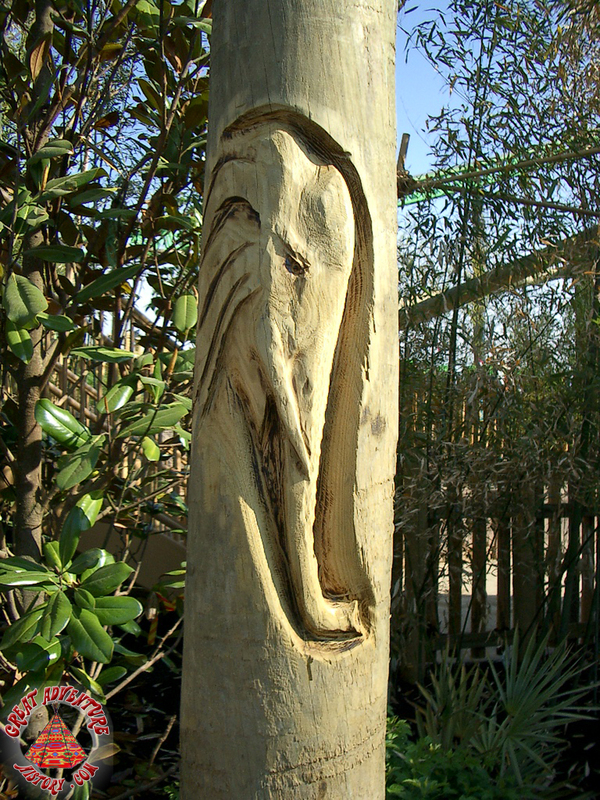 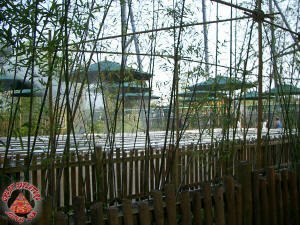 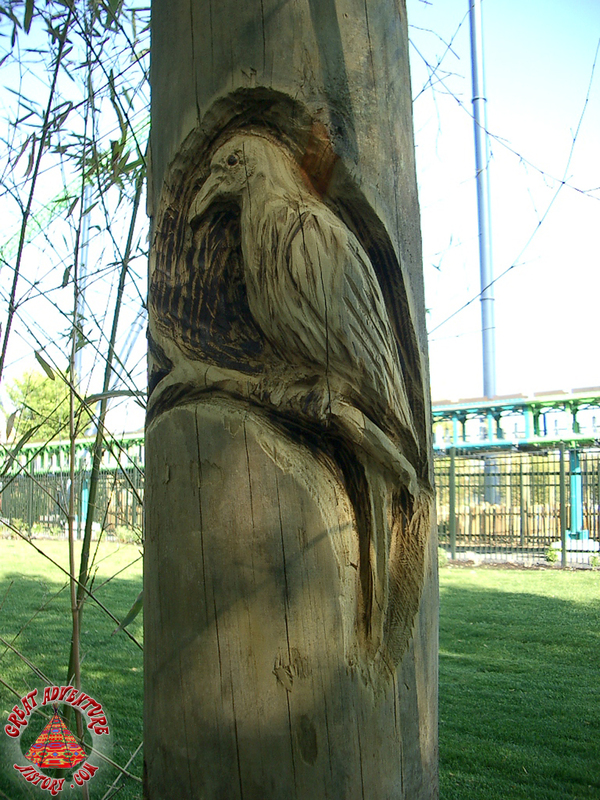 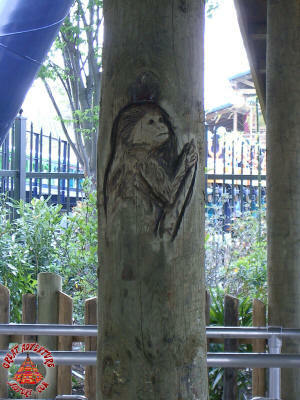 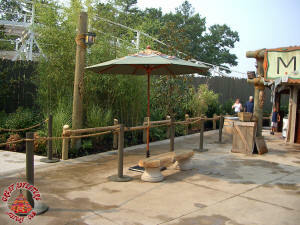 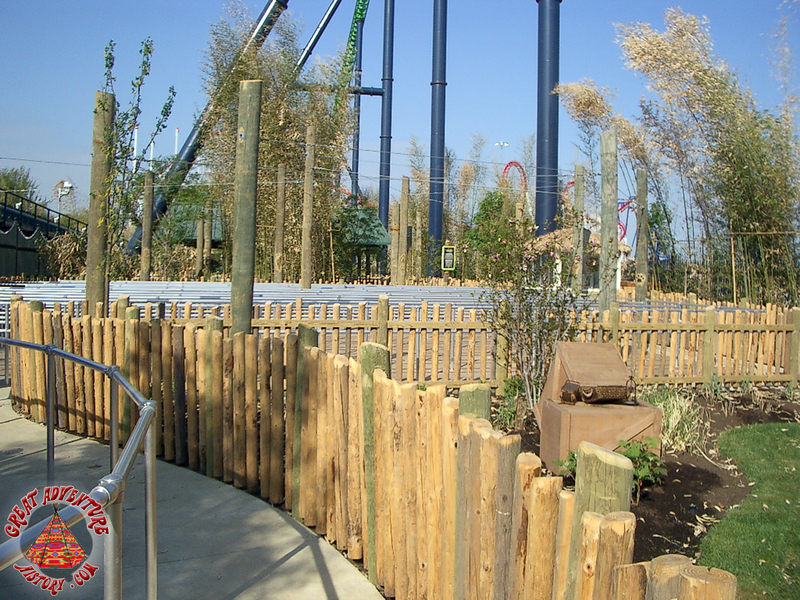 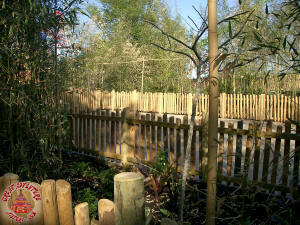 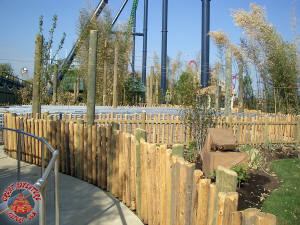 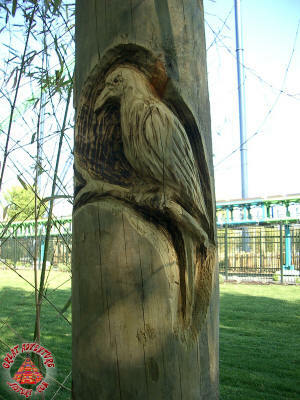 That pathway would be planted with bamboo and other tropical foliage to continue the jungle motif. Approximately half way down the launch track the pathway turned and went under the ride track. Because the pathway crossed under the launch, a special walkway with shielding was built to keep guests safe in the event of a snapped launch cable. From the tunnel, the queue continued in a series of switchbacks which were in the infield between the launch and brake tracks. 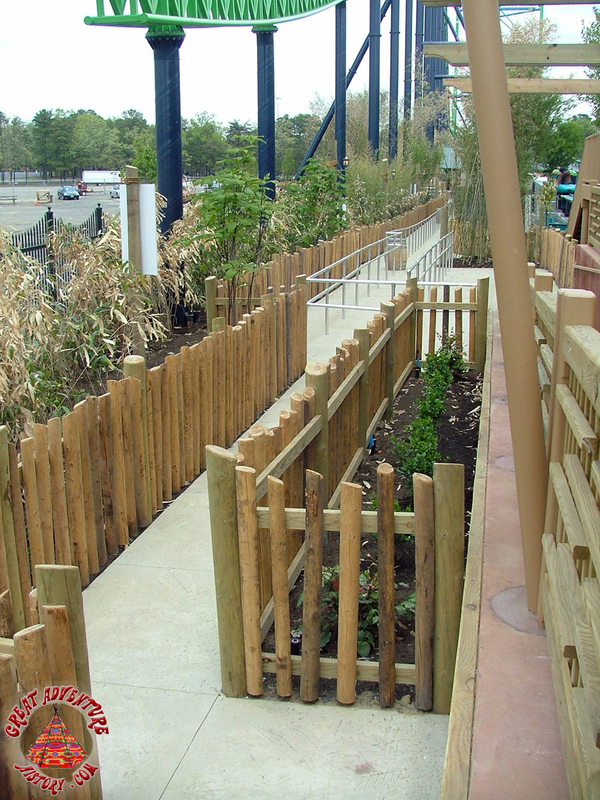 The switchbacks included two squares of concrete pavement with standard queue bars without coverings, though it appeared they were planned to have some sort of sun shades added. The switchbacks occupied the area between the angled supports for the speed hill at the end of the ride. 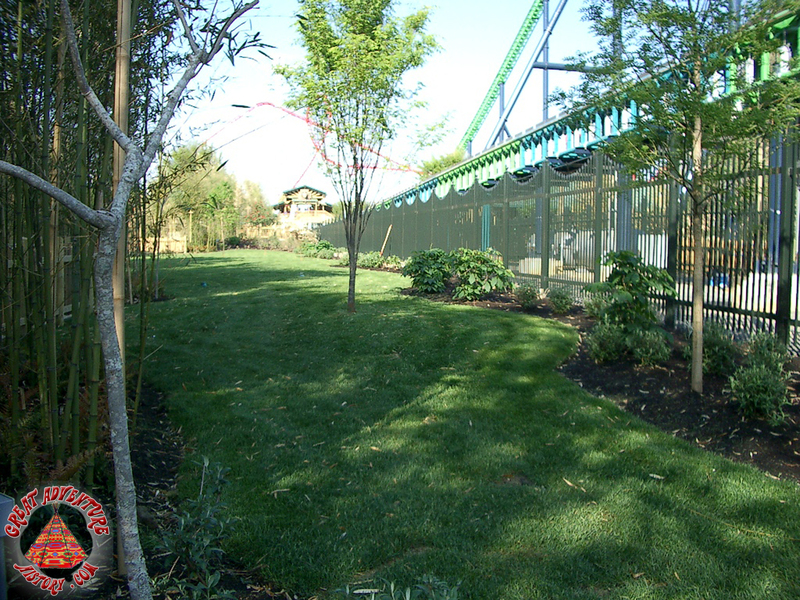 The area was planted with grass and bushes and nicely landscaped. 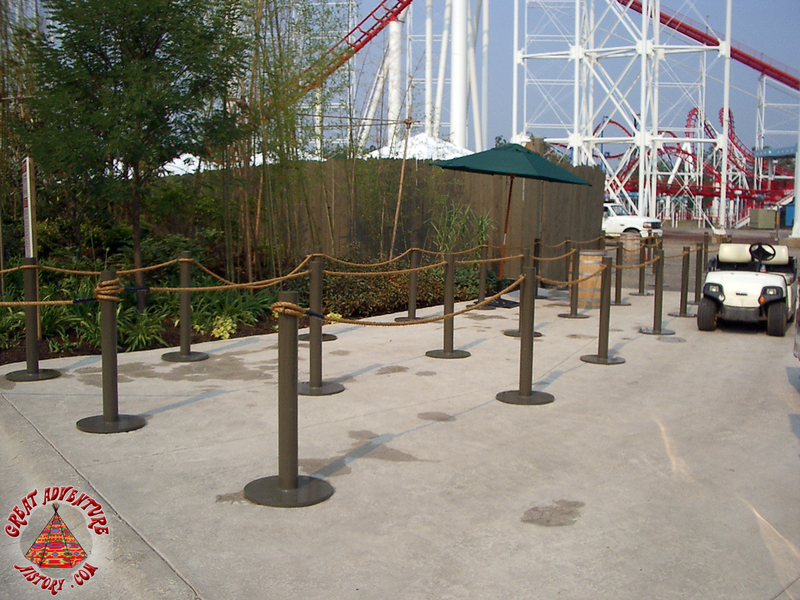 Just on the other side of the wall at the end facing the tower the infield area was left stark and covered with black pavement. 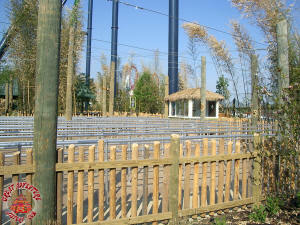 On the other side towards the station was a covered section of queue. 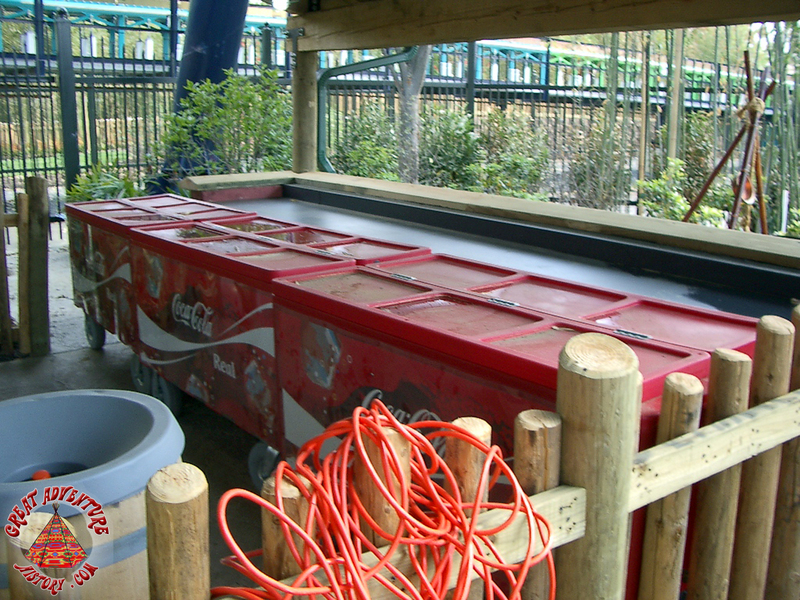 Just beyond that were the vehicle storage and maintenance tracks and shed, which also stood between the launch and brake tracks. 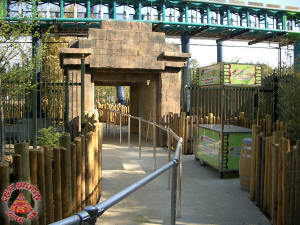 The queue pathway continued alongside of it to the station entrance. 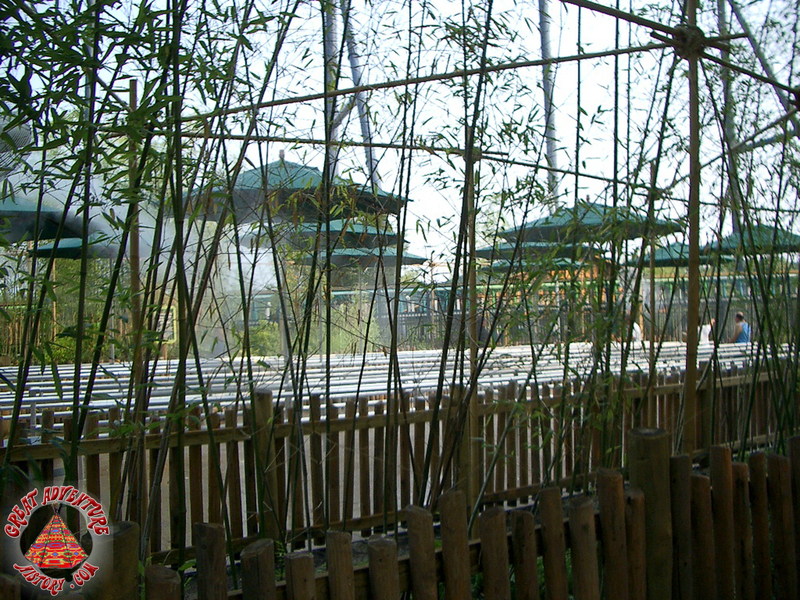 All along the edge of the parking lot the fence and a screen of plantings helped block the view out into the "real world". 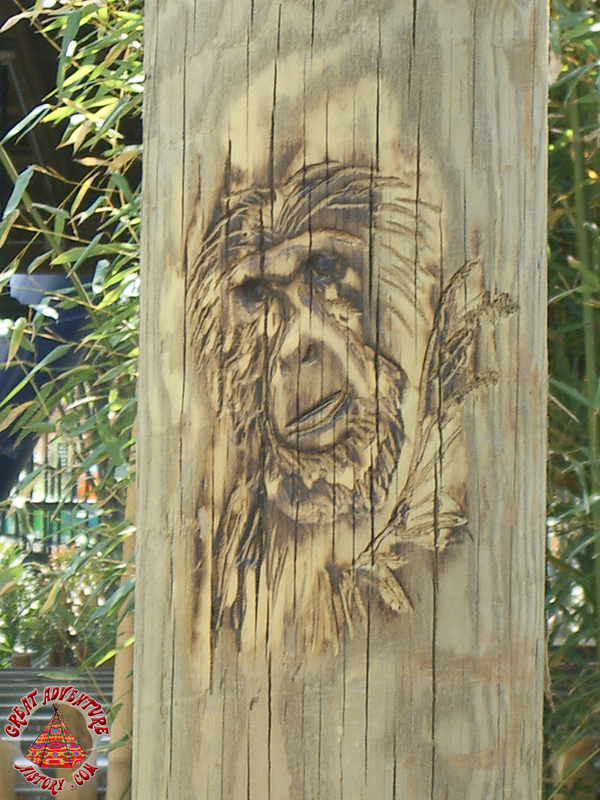 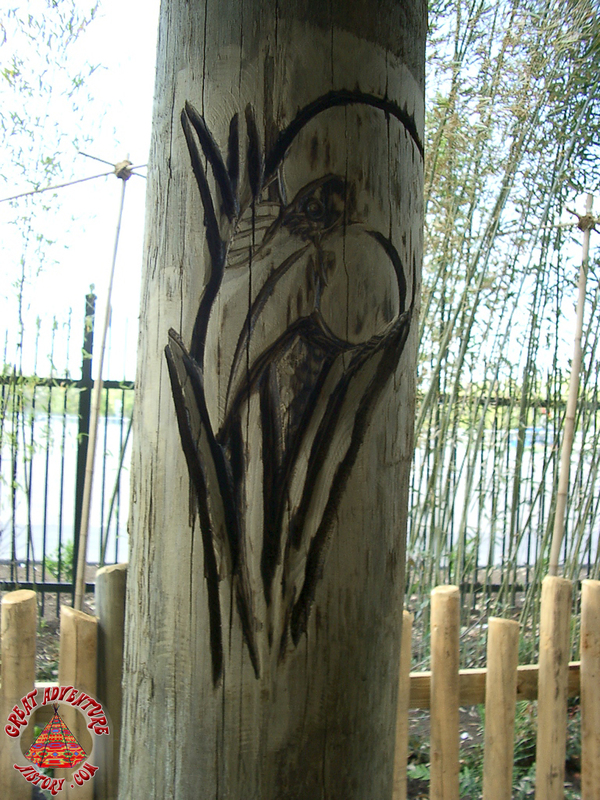 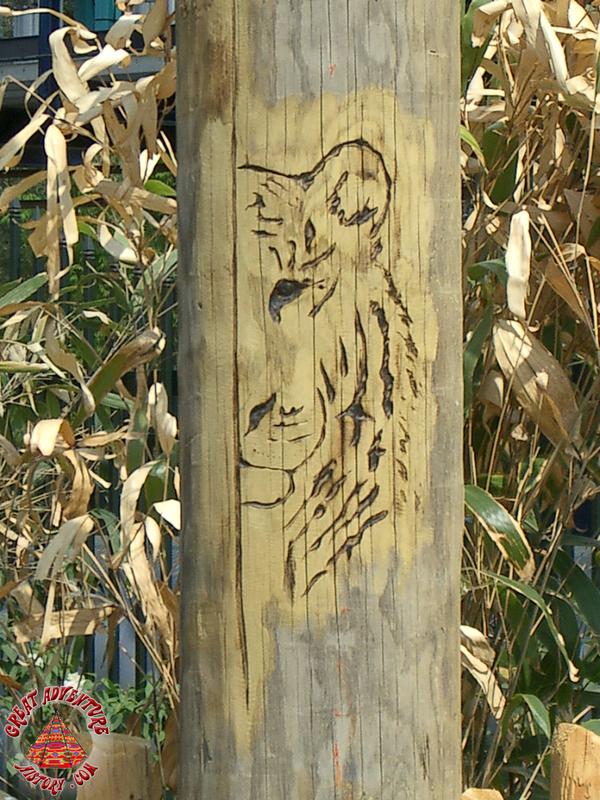 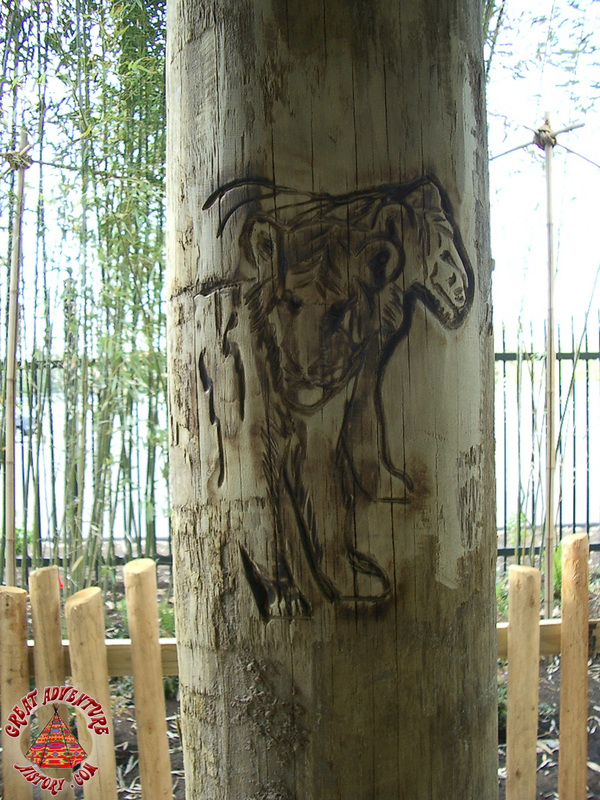 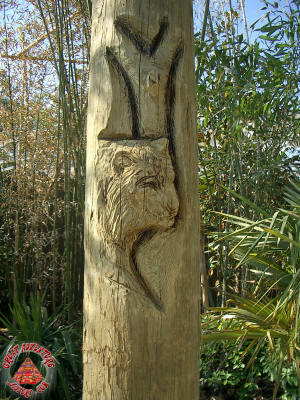 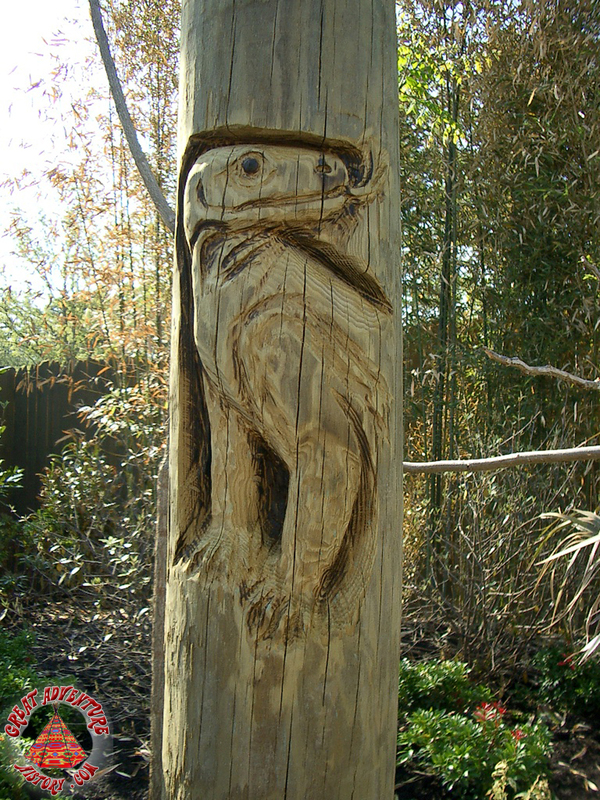 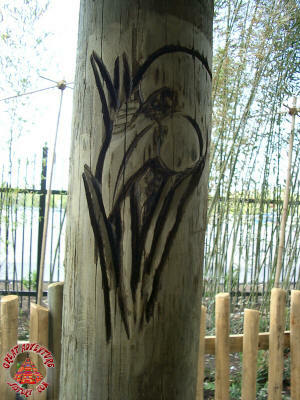 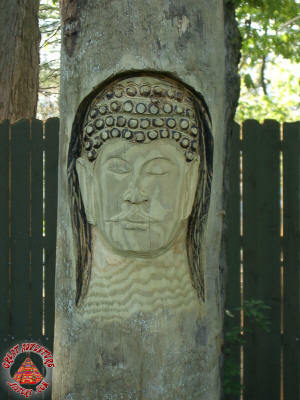 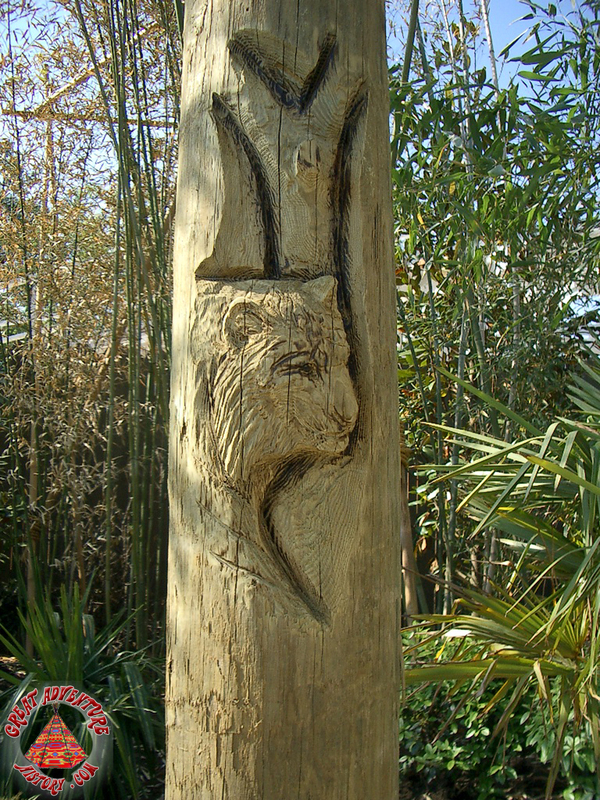 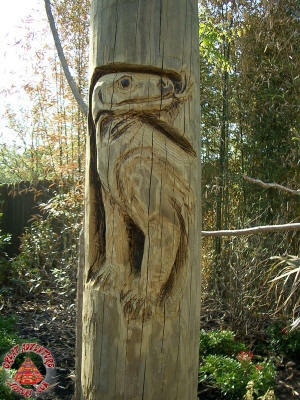 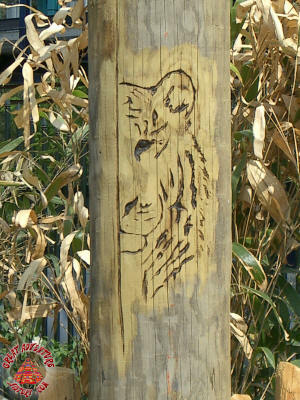 Throughout the queue all of the poles for the light fixtures featured decorative carvings evocative of the jungle theme of the Golden Kingdom. 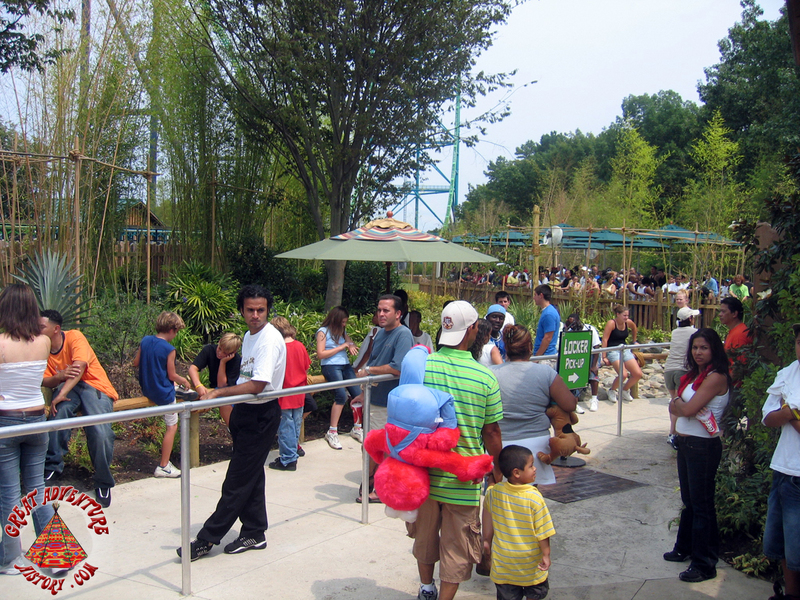 When the pathway finally got to the station, the line split into the two sides with half of guests going left and half right. 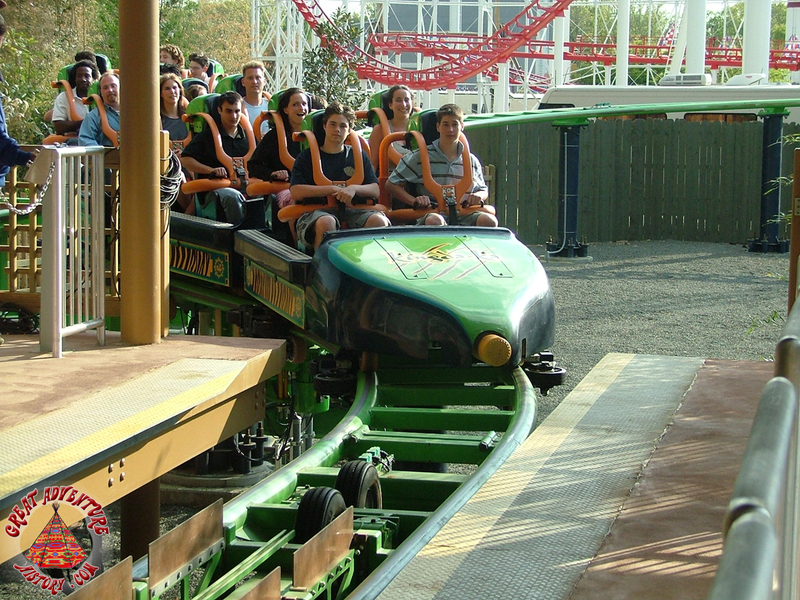 For guests going right, the trains coming into the brakes would slow down right next to them, adding to the excitement and anticipation of riding. 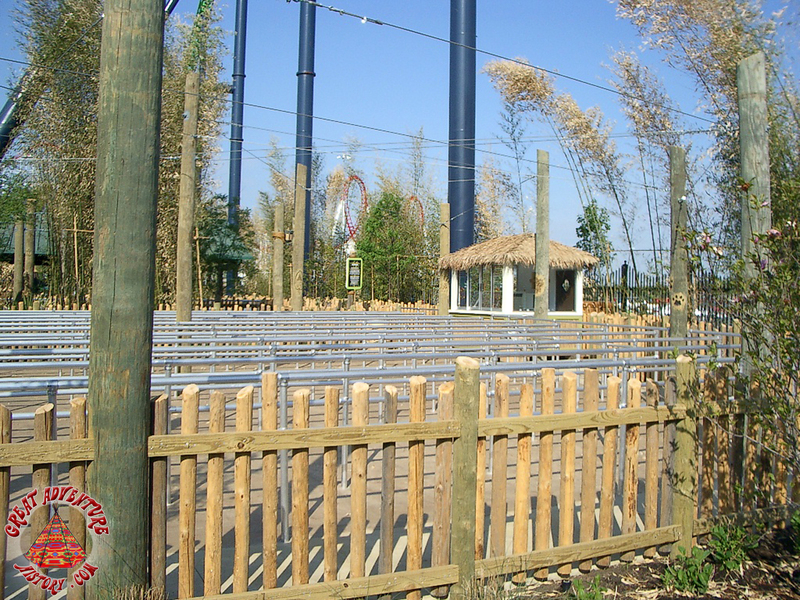 For those going left, a climb up and over to the other side of the station offered great views of the tower and the ride in operation. This elaborate queue was very short lived after the ride experienced a major malfunction which damaged the launch and brake system as well as one of the trains. 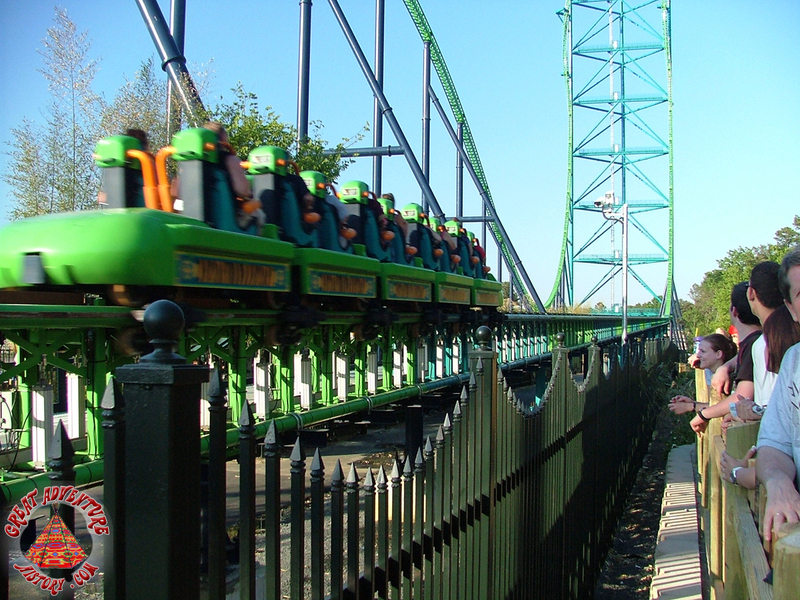 After this incident, it was decided to not use the queue since the malfunction occurred right where the queue crossed beneath the launch track. 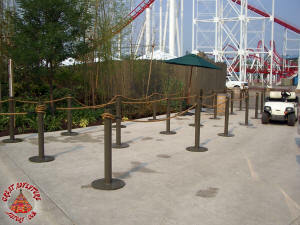 The overflow queue area near the rides entrance served as the ride's new queue and it was extended with ropes and other temporary barriers along the fences and into the Golden Kingdom in order to accommodate the crowds. 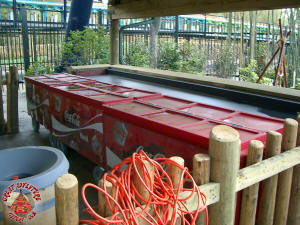 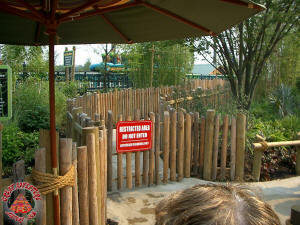 Along with the queue being closed off, a viewing area adjacent to the launch track was also closed off. 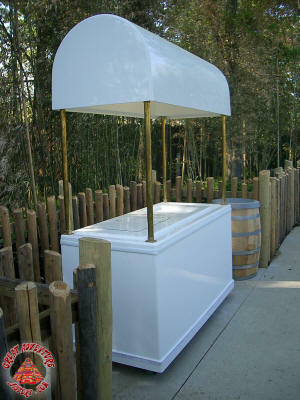 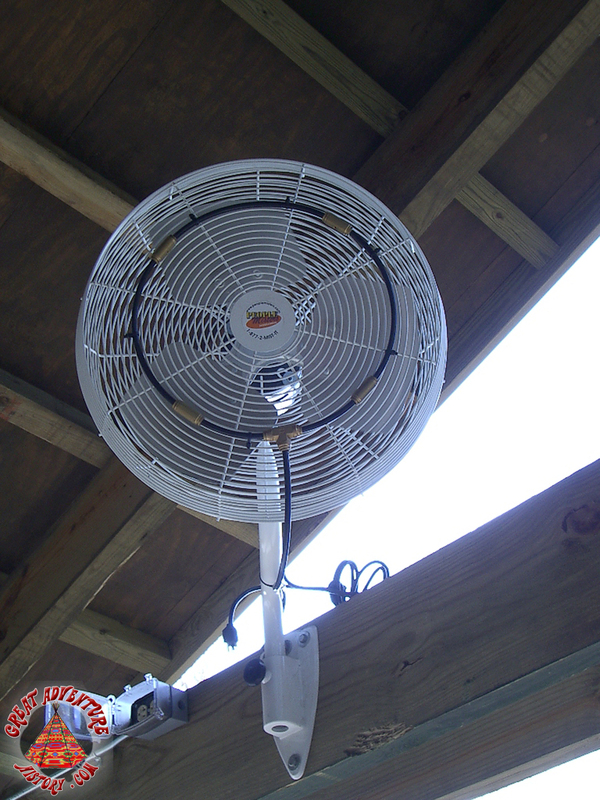 The elaborate queue which was designed to handle the expected crowds and even had misting fans installed to keep them cool as well as concession stands built in along the way was never to be used again in an abundance of caution for guest safety. 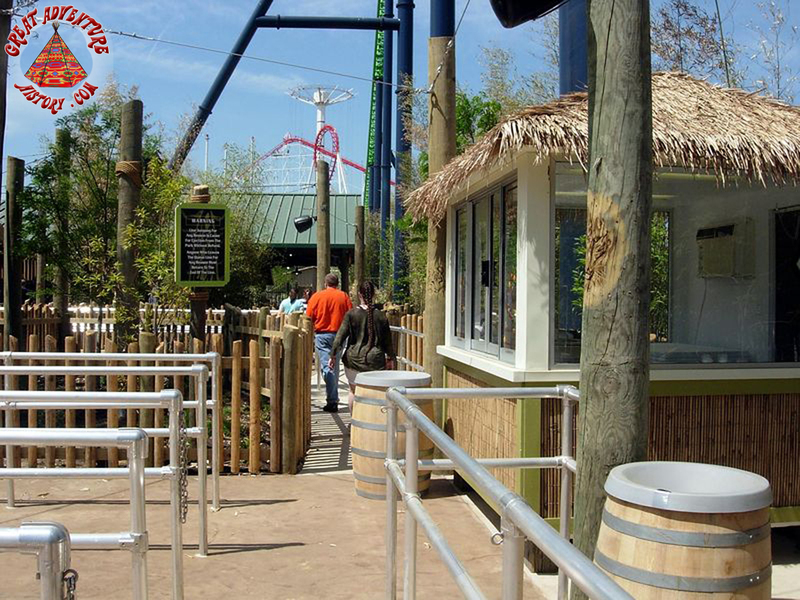 The "temporary" line setup became the permanent configuration of the queue, and with lower ridership over the years and a re-engineered configuration making use of only half the station, it has served ever since.